WASHINGTON – U.S. Senator Claire McCaskill is demanding to know how and why the United States Postal Service (USPS) sponsors a weekly TV show on CBS. Last Week Tonight with John Oliver recently spotlighted the series, which airs on Saturday mornings and tells stories based off of mail fraud and scams that USPS inspectors targeted. “I know postal inspectors do great and important work—but I’m not sure they need to be sponsoring a scripted TV drama when the agency is having such massive financial problems and closing post offices in Missouri and across the country,” McCaskill said. 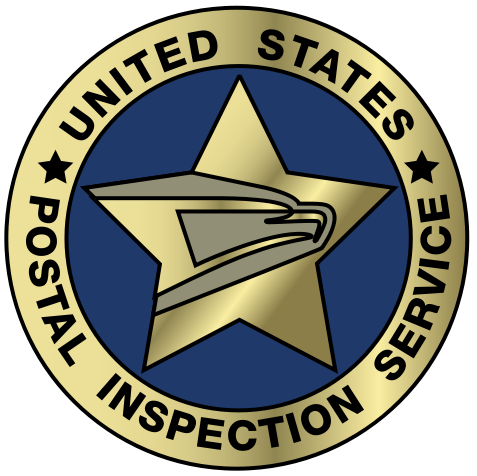 The Inspectors is sponsored by USPS’ Postal Inspection Service and went on air in 2015, running on CBS on Saturday mornings. McCaskill wrote the Postmaster General requesting answers on who within the Postal Service approved sponsoring the show, how it is funded, and what metrics have been used to review the show’s effectiveness. Since her time as Missouri State Auditor, McCaskill has been a leading voice in Missouri and Washington for cutting wasteful government spending. She became the top-ranking Democrat on the Homeland Security and Governmental Affairs Committee this past January. In McCaskill’s position leading the Committee, she has called for answers on questionable government contracts, such as one that left taxpayers on the hook for over $50 million in questionable costs, including seven luxury vehicles and $400,000 average salaries for significant others of corporate officers to serve as “executive assistants.” She recently demanded details from the Federal Communications Commission on efforts to follow through on almost $90 million in fines proposed against providers for the Lifeline program. During her first term in the Senate, McCaskill waged a successful six-year effort to crack down on waste, fraud, and abuse in wartime contracting. Read McCaskill’s letter to the Postmaster General HERE. From letters to bills, even packages, it seems nothing is safe. Thieves continue to target and break into mailboxes around the metro and around the state. The Postal Inspection Service has a message for the nation’s letter carriers and rural carriers: We’re here to help. Postal inspectors regularly meet with carriers to remind them to be aware of unsafe situations and to report suspicious activities, such as vehicles that follow them or parcels that go missing along their routes. LOS ANGELES – The president of an Anaheim-based bulk mailing company this week paid the United States $3 million to resolve a federal investigation into allegations that the mailer systematically misclassified postage and defrauded the U.S. Postal Service (USPS) out of millions of dollars in postage fees. The payment, which was made on Wednesday and announced today, resolves a civil investigation into Advantage Mailing, LLC, which handles bulk mailings and provides design, printing and mailing services for a broad range of customers. An investigation by Postal authorities determined that Advantage had submitted to the USPS false postage statements that misrepresented, among other things, the type and amount of postage affixed to millions of pieces of mail handled by the company. As a result, Advantage paid less to the USPS – millions of dollars less – than was actually due in postal fees. Under USPS regulations, mailers must complete and submit a postage statement to the Postal Service that identifies the particulars of each mailing, such as type of postage used, the amount of pre-paid postage and number of pieces mailed. The USPS relies upon these postage statements to determine the amount of postage fees due, so mailers such as Advantage are required to truthfully and accurately complete the statements. Advantage agreed to the civil settlement without admitting any wrongdoing. Advantage’s president, Thomas C. Ling, paid the settlement on August 31. The government’s investigation was conducted by the U.S. 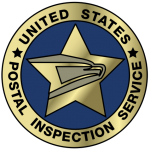 Postal Inspection Service and the U.S. Postal Service Office of Inspector General. The settlement was handled by Assistant United States Attorney Deborah Yim of the Civil Division’s Civil Fraud Section. DENVER — Within an hour of FOX31 Denver discovering a hidden camera, which was positioned to capture and record the license plates and facial features of customers leaving a Golden Post Office, the device was ripped from the ground and disappeared. Read more: Mysterious spy cameras collecting data at post offices | FOX31 Denver.